Ana Alcaide is a musician, singer and composer from Toledo, a city whose history of Jewish, Christian and Islamic influence informs her music. 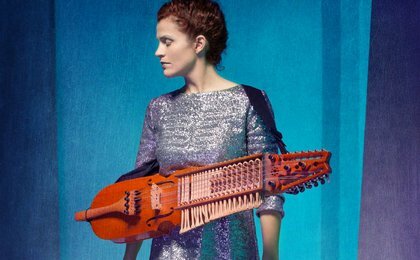 Her chosen instrument of expression is the Swedish nyckelharpa. 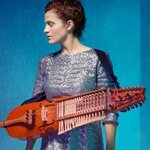 Over the past decade she has played over 500 concerts on four continents and recorded five albums, each exploring her varied influences and continuing her search for bonds between diverse cultures, from the Mediterranean trails of the Sephardic Jews, on La Cantiga del Fuego, to the classical traditions of West Java, with her Gotrasawala project. Her latest album, Leyenda, draws inspiration from global myths and legends evoking the resolute spirit of femininity, from a Chinese goddess of flight to the wicked sirens of Andalusian waterfalls. Deftly blending Celtic and medieval strains into stridently modern constructions, Ana Alcaide connects the past to now.